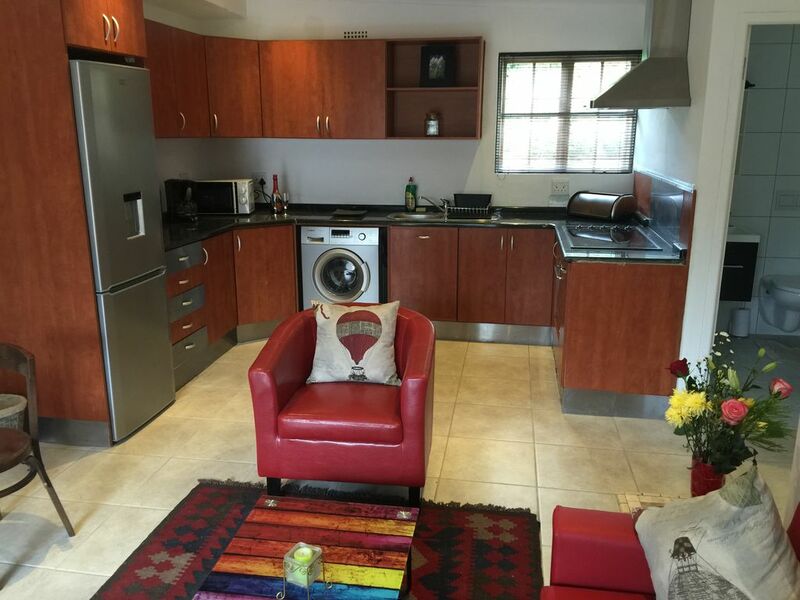 Jacaranda is a 40m2 studio apartment with an open plan bedroom and living area. It is located on the main estate under the big oak trees, making the small patio area a peaceful and shaded spot to relax in. It has modern decor and is ideally suited for those looking for a base while they explore the area.